CONFIDENTIAL: I work with all kinds of people from all over the world – We are all souls on our individual journeys. Sessions are of course confidential & I work w/ some people in the public eye and whether you are public person or not, all sessions are private and confidential. Soul Retrieval & Activation & Counseling sessions are very powerful over the phone or SKYPE – there is no distance for Spirit or Consciousness – or in person in the Sedona & Phoenix, Arizona area or in various cities during my travels. They are guided by your higher Self and go on as long as is spiritually appropriate and you’ve received what you are ready to receive at that time . Practical details about work, relationships, physical healing, opening back up to Spirit are addressed. Sessions usually last somewhere between 1 and 1-1/2 hrs. Soul Activation sessions are somewhat longer. These sessions are a time for you to relax and receive Spirit’s nurturing assistance just for you. A phone with a headset, or good speaker phone is helpful, though not necessary, in allowing you to sit back and relax during the sessions. These sessions are very powerful and it is important for you to provide a comfortable, secure space for yourself where you can focus on allowing in the information and energies that occur. It is a privilege for me to do this work. I love doing it, it feeds me as much as it helps others. Love always gives with a full measure for all involved. WHAT IS A SOUL RETRIEVAL SESSION LIKE? SOUL RETRIEVAL – is a process where actual pieces of our ‘souls’ that have been fragmented, cut off, ‘stolen’ by other beings, often through some trauma or unhealed emotions are ‘retrieved’, healed and put back into our ‘soul bodies’ where they belong. The reasons for ‘soul loss’ can be from childhood, from other lifetimes, or in other space-time dimensions or parallel lifetimes. Shamans & Masters that I work with have shared with me how to see and sense these ‘umbilical cords’ that lead to the ‘soul fragments’ that are ready to be retrieved. It is on the subtle ‘soul essence’ plane of energies that this work is done. Sometimes you will feel/see some of what it is about and sometimes you won’t. I like to work in the subtle most efficient healing ethers and with ‘gracefull erasure’ of any associated difficulties and then the ‘soul energies’ naturally come back and re integrate into your Soul and Self. WHAT IS A SOUL COUNSELING SESSION LIKE? We ask for Divine Consciousness, our own Higher Intelligence to be present and assist us with the most relevant topics to address for your soul”s growth. It is a relaxing, sinking into, becoming inwardly quiet and allowing Spirit to guide the way. There is talking and ‘quiet times’ while getting clarity and understanding of ‘what’s going on with me’- and at the same time some subtle energy work will be happening. WHAT IS A 'SOUL SCRIPT READING'? WHAT IS A SOUL ACTIVATION SESSION LIKE? These sessions are usually not much talking and more direct energy activation work. This is a 1hr session where I work with your energies in ‘clearing’ old energies and re-calibrating and infusing new healing energies. There is not a lot of talking in these sessions, mostly quiet while I am working on your subtle energy fields. Quantum Energy Sessions can also be done remotely without us talking/skyping. We just set a time and I work w/ the subtle energies on your behalf with your Souls permission. If you wish to request counseling by private email communication, It is currently $50.00 per exchange (1 question & 1 response equals 1 full communication exchange). Please contact for further information about this service. Tobias – Thank you for guiding (our President/CEO) to a new experience. I received a text message from him stating that what you provided was a great way to start his larger ‘vision quest’ journey. Thanks for the help and guidance. As I relaxed I could feel the energies moving around my knee as it started to heal. 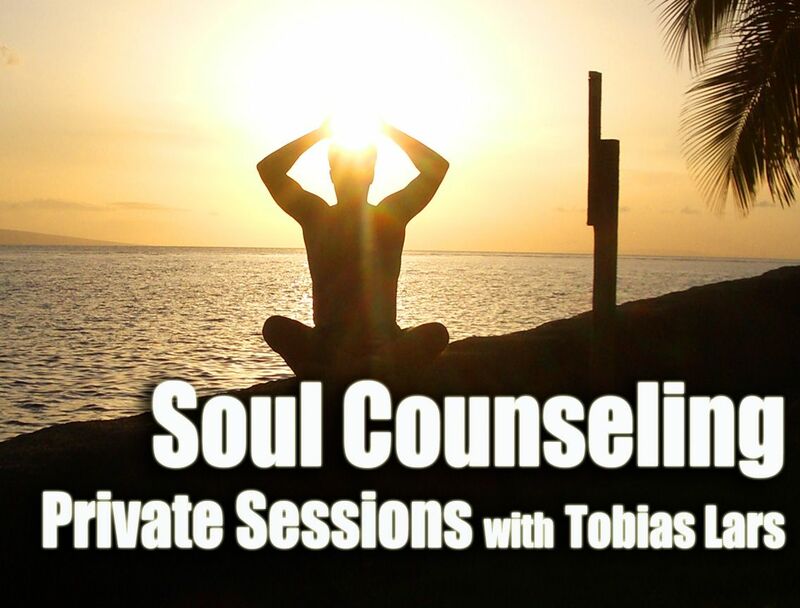 Tobias’s gentle style helped melt away my problem and I felt filled up with peace after our session. Thank you for my soul reading and for the Alchemy Energy Process which I found to be very helpful in clearing old thought patterns that I was hooked into. I appreciate your sharing your wonderful gifts and look forward to seeing you next time you come to Austin! I enjoyed our session very much….it confirmed that I am on the right spiritual path for me. Meditating and learning from you that morning was an incredible experience…..the energy, the spirituality, the ambiance fulfilled and went beyond my expectations. When I called Tobias the whole right side of my spine and neck were in intense pain, as they had been for ten days. (This was a chronic condition that had suddenly worsened.) Tobias helped me understand what that part of my body was trying to tell me, why it was so constricted, and what informational gifts it held for me. Later that day, I felt a lightening and ease of the pain. It”s now two weeks later and my back and neck are still so much better. My Doctor at my weekly appointment asked me what I had been doing because he said “you are at least 50% better.” Thank you, Tobias. Thank you, dear God for this healing.